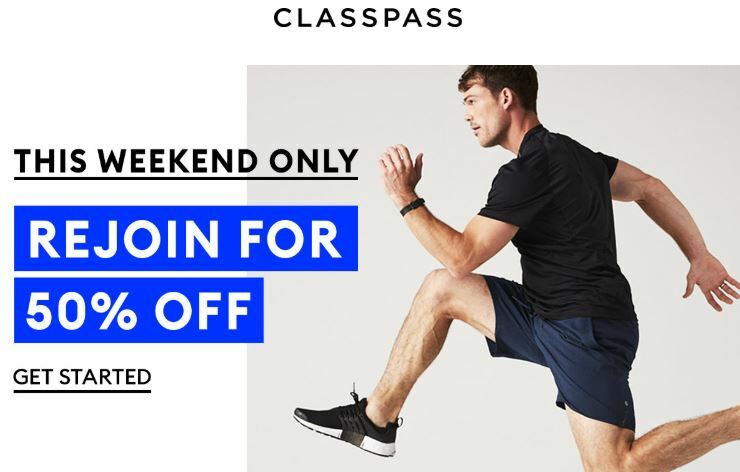 If you’ve been a member of ClassPass previously and had quit, there’s a good chance you’re getting some marketing emails to try and entice you to come back. One of the more recent ones we received was an email to rejoin ClassPass for 50% off your first month where you can (re)try ClassPass to see if there’s any new workouts or revisit old ones. Anything from HIIT to Barry’s Bootcamp to barre to boxing, yoga and gym times throughout 50 cities worldwide. So if you’re thinking about coming back to Classpass, you might want to give it a couple days. Odds are you’ll get some emails from them to restart with a bonus.